How Do You Avoid Cavities? Learning that you have a cavity is never good news. This is because cavities are usually precursors to larger problems with your teeth like toothaches, root canals and extractions. The good news, however, is that you can take steps to prevent cavities from forming in the first place. The easiest way to prevent cavities is to visit a dentist regularly. Make an appointment with the dentists at Cosmetic and Family Dentistry today to schedule your next check-up. Dr. Romack and Dr. Mulkey proudly serve patients throughout Weatherford, TX, Mineral Wells, Benbrook, Saginaw, Azle and White Settlement. It turns out that carbohydrates not only cause weight gain, they also cause cavities. Cavities are formed in part by the carbohydrates (sugars and starches) left behind on our teeth. The bacteria that live in your mouth digest these leftover carbs, turning them into acids. It is the bacteria, the acid they produce, food debris, and saliva that make up the plaque that forms on your teeth. The acids in the plaque actually dissolve the enamel of your teeth, creating a hole in the tooth called a cavity. Eat Cheese– Casein, a protein found in cheese, may aid in cavity prevention. Calcium levels in saliva are increased after you eat cheese. Since teeth are made mostly of calcium, the cheese helps to prevent cavities by fortifying your teeth with needed minerals. Chew Sugar Free Gum and Candy– Sugar free gum and candy containing Xylitol, a natural sugar substitute, can help prevent cavities because Xylitol inhibits the growth of bacteria in your mouth. This can reduce the production of cavity causing acid. Use a Straw– If you use a straw whenever you partake of a sugary drink like soda, you can significantly reduce the amount of sugar residue left behind on your teeth. Get Sealed– Your back teeth are especially susceptible to decay because this is where most of the chewing occurs. You can help protect these teeth from decay by getting dental sealants. Sealants, made from a clear, durable material, can protect your teeth from bacteria and decay. We are all at risk for developing cavities, no matter how often we brush and floss our teeth. It’s important to be proactive in cavity prevention. At general dentistry checkups, the dentist can find tooth decay early and stop it from causing bigger problems with your teeth. 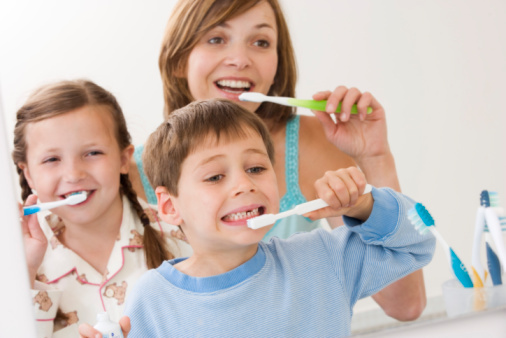 Make an appointment with the experienced and gentle dentists at Cosmetic and Family Dentistry today. Dr. Romack and Dr. Mulkey proudly serve the communities of Weatherford, TX, Mineral Wells, Benbrook, Saginaw, Azle and White Settlement.